It’s done! This was a quick project. Once I had the right materials it only took a few hours from start to finish. I think it’s really cute. I have never in my life considered making hangers before, but this could be sweet in a little girl’s room for a special dress or something. I also kind of like the folk art-ness of it. What do you think? – Having the right materials makes finishing projects much easier. – Straight lines and perfect curves are overrated. – It is more fun to work with friends. Thanks Cheryl! Did you guess what my wire work project would be? 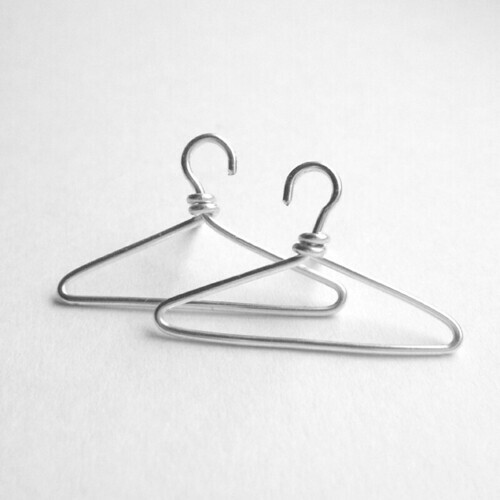 It’s a hanger! 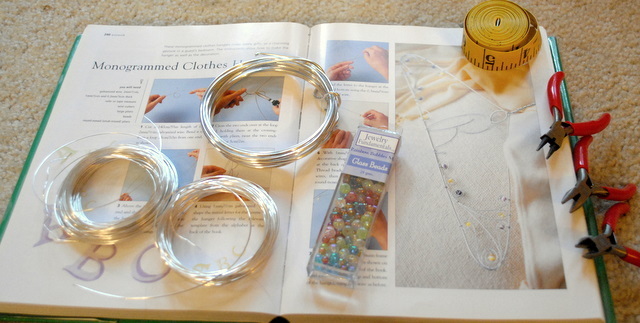 I found instructions to make a monogrammed hanger with beaded decorations and it looked kind of sweet. I may gift it to a certain baby I know who has a fancy new dress (or I may keep it for myself since we share a first initial). Check back tomorrow for the finished hanger! The first time I tried to buy the materials I needed for my wire work project I stayed in the jewelry section of my local craft store. I bought two gauges: one for the structure and one for the decoration. However, the wire I bought to form the structure of my object wasn’t thick enough, so I went back and found heavier wire in the floral section of the store. With these three wires, some beads, and a set of small jeweler’s tools I was ready to get started. A month ago I was looking around for project ideas and I came across a library book with a chapter on wire work. I had never considered wire work before, but the examples the book offered were kind of interesting. 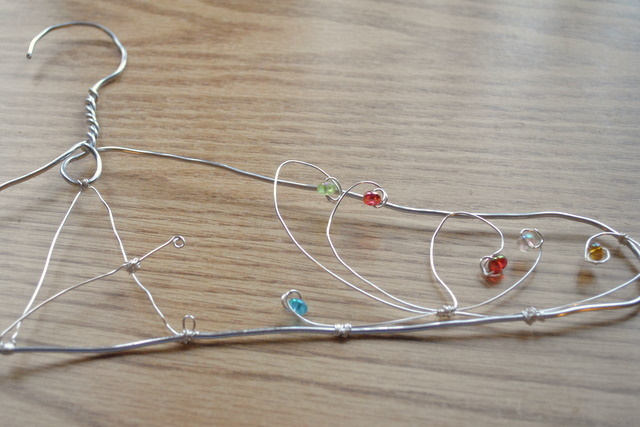 Check back tomorrow to see my wire project in progress. It’s kind of neat! You are currently browsing the archives for the Wire work category.